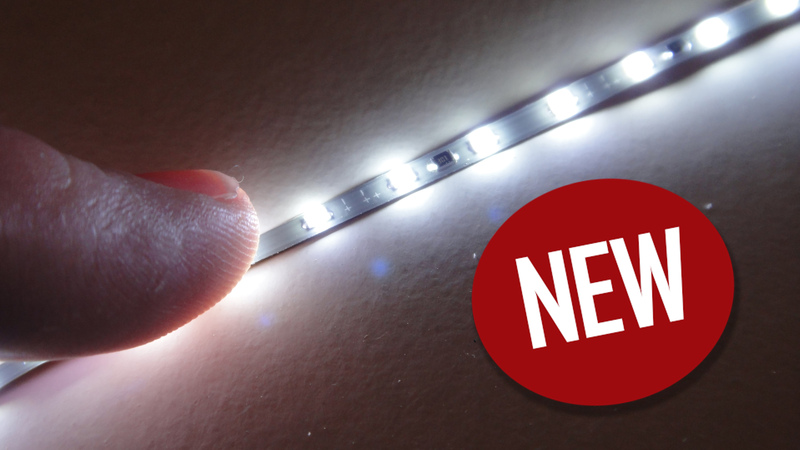 NEW 0805 SINGLE DENSITY LED TAPE FOR MODELING is now available! With the success of our Double Density Tape we now bring you our new single density version! At only 3mm in width this tape is perfect to get lighting into really small models and tight areas and is available in white, warm white, red, green, blue and yellow. Each roll comes in 5m lengths (16.4ft.) and is cuttable at about 2 inch increments. 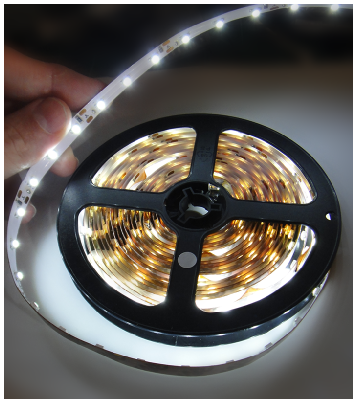 We have had this LED tape custom made for us just for modeling projects! At only 2.2mm in width this tape is perfect to get lighting into really small models or tight areas where regular LED tape just won't work. This tape is available in all the regular colors and comes in 5m lengths (16.4ft.) and is cuttable at about 1 inch increments.